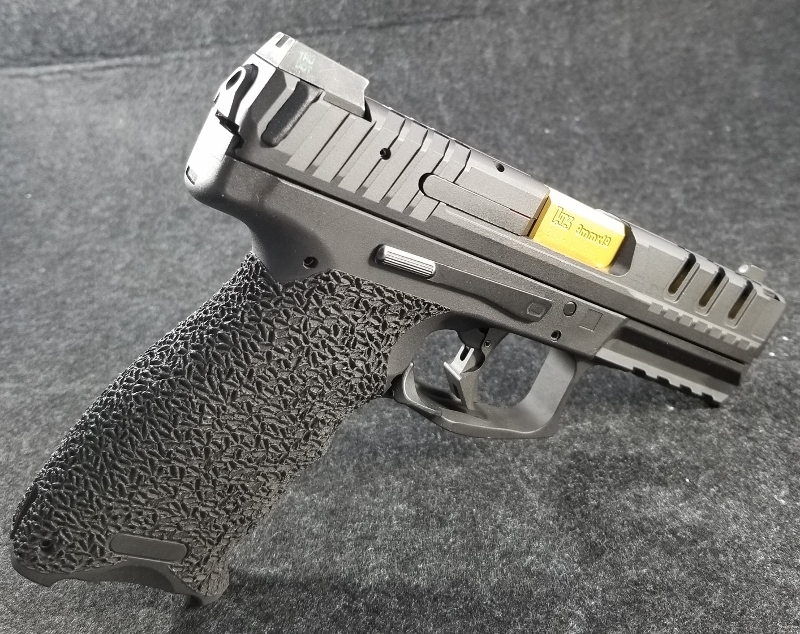 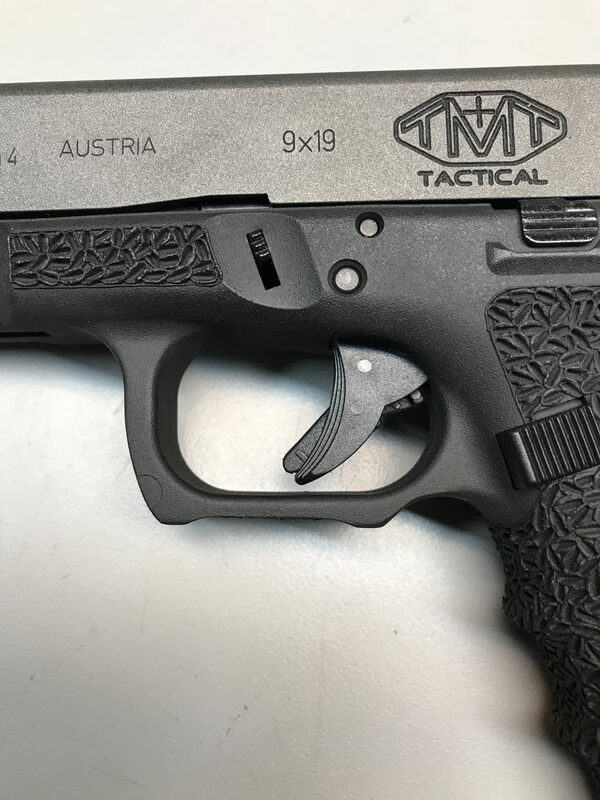 A Trigger Guard Reduction is not only an aesthetic improvement to your favorite polymer-framed handgun, but a performance upgrade as well. 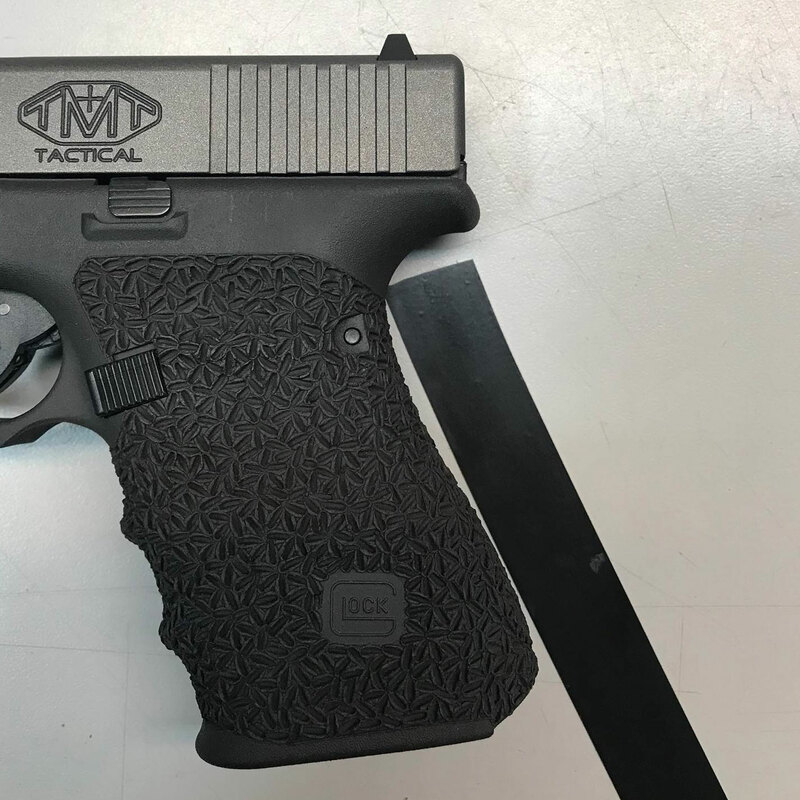 With the Trigger Guard reduction, a fraction of the trigger guard is removed from underneath, allowing the shooter to grip higher on the handgun, bringing the bore axis lower. 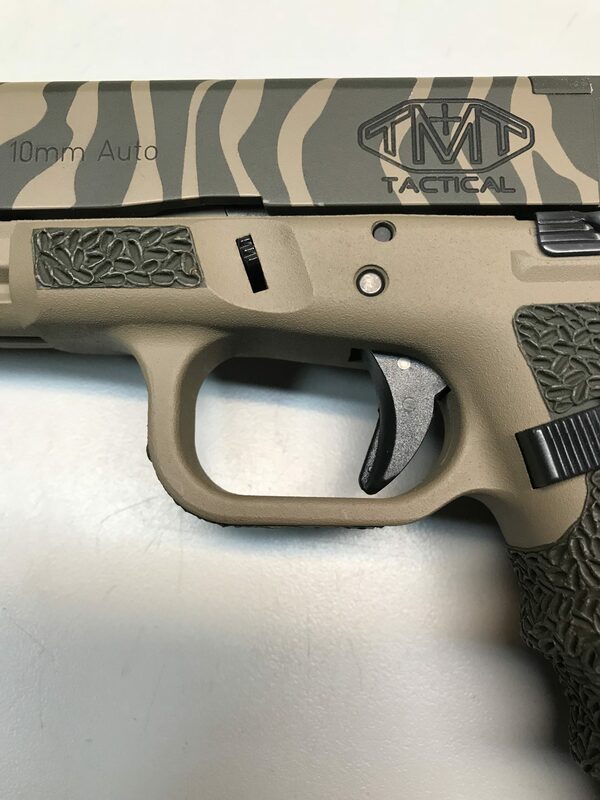 This results in improved recoil management and overall better handling of the firearm. 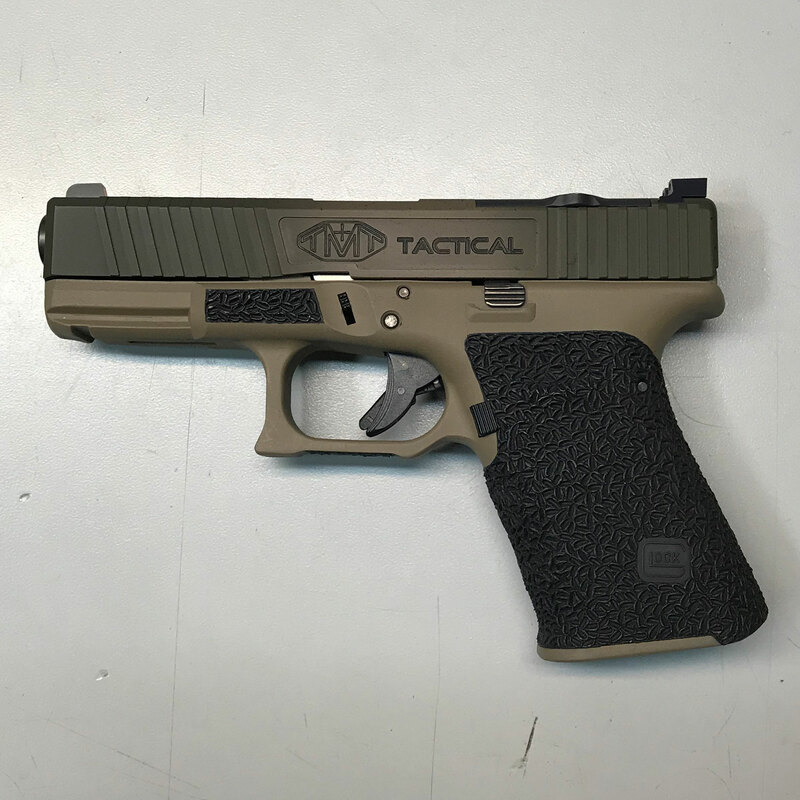 We specialize in frame modification, including a grip-reduction for your favorite Glock! With the grip reduction, the Glock will sit more naturally in the hand. 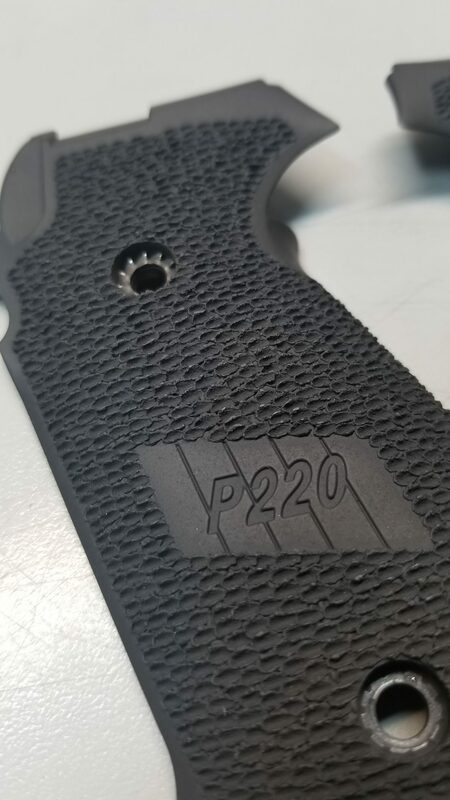 We compare it to the blackstrap difference between the original flat mainspring housing of a 1911 and “humped” mainspring housing the 1911a1. 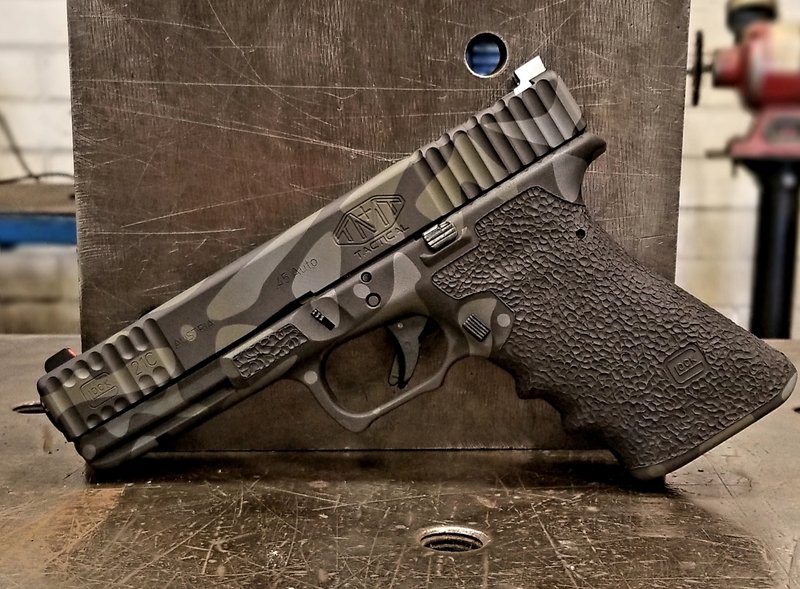 The “hump” found naturally on Glock handguns causes the gun to sit canted upward in the shooter’s grip. 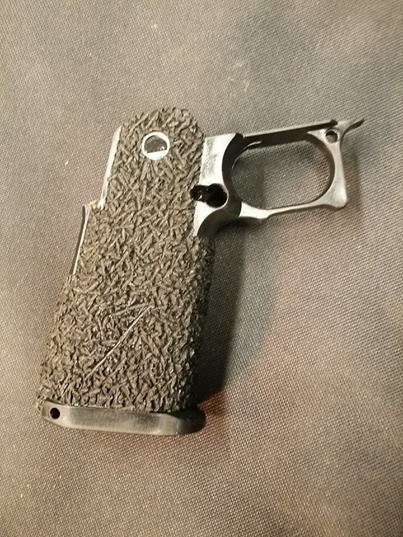 The Grip Reduction will remove that material, sitting the gun more comfortably in your hand. 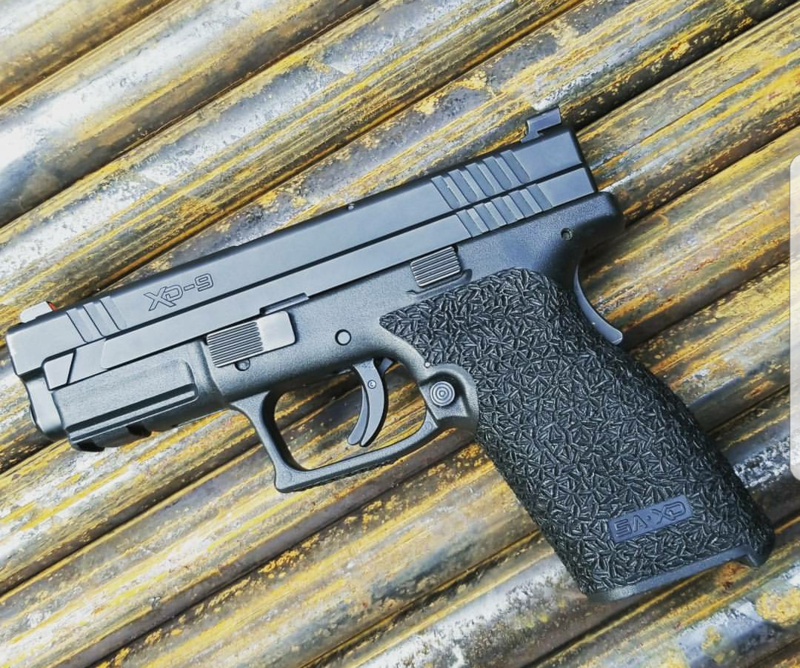 The Grip Reduction includes an epoxy-filled blackstrap and stippling. 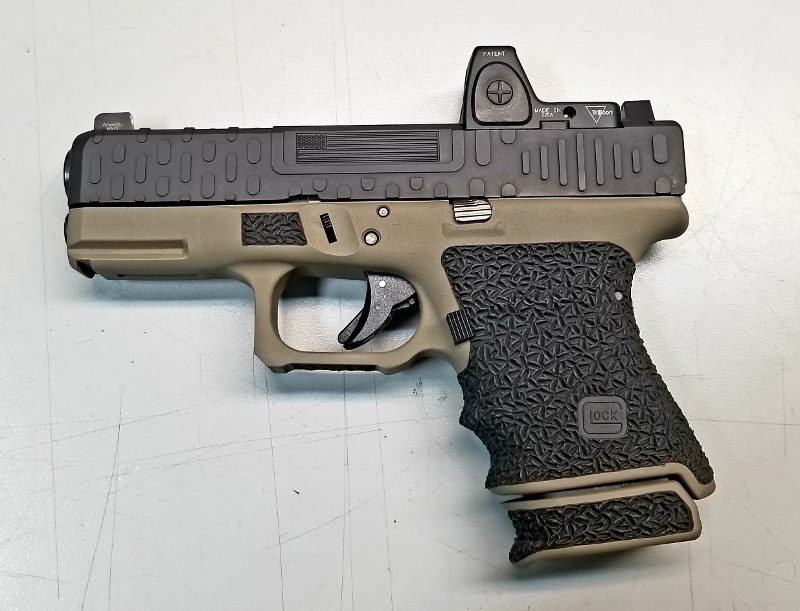 A frame modification that is sometimes over looked is the finger hump removal for Glock handguns. 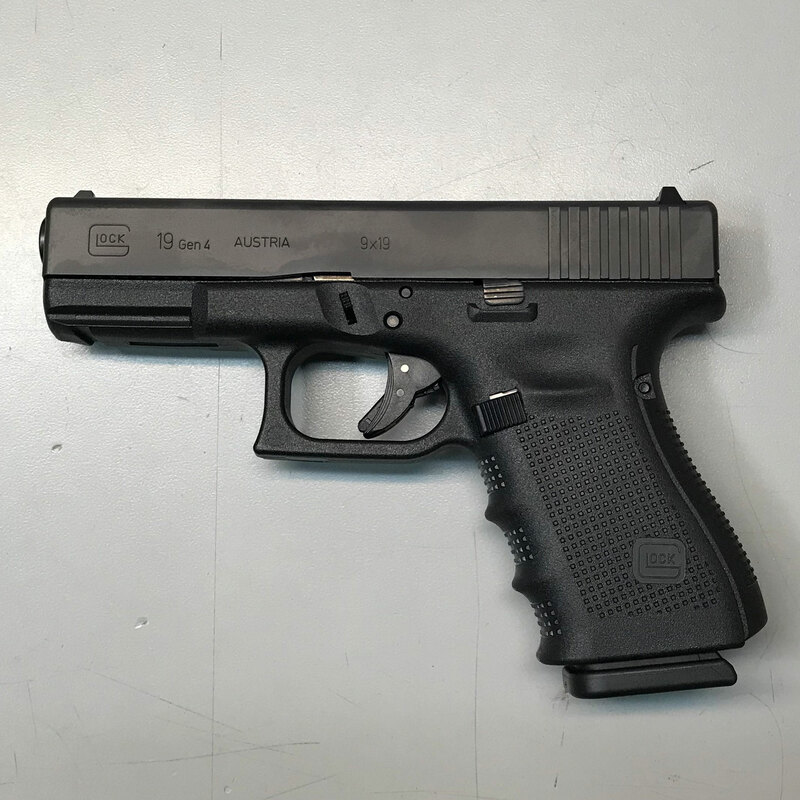 Sometimes a shooter’s grip is forced into the tracks formed by the standard Glock frame. 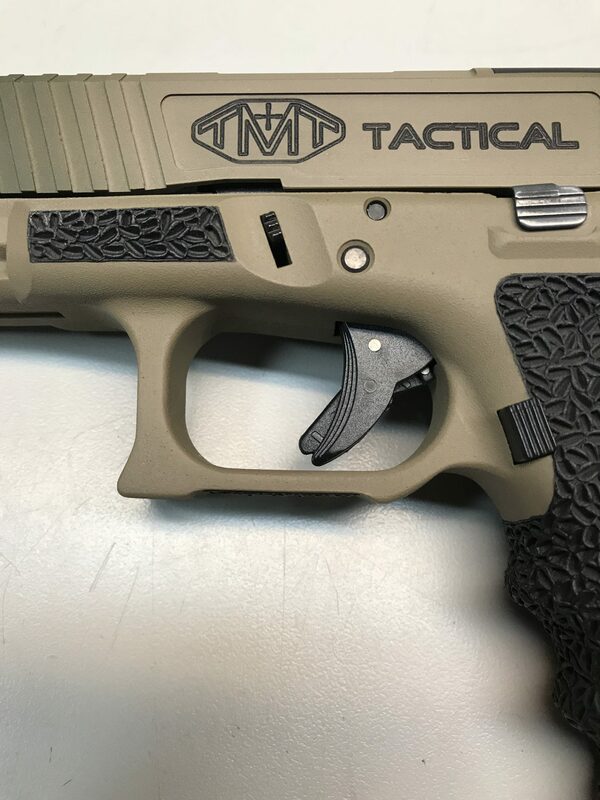 The Finger Hump removal will allow shooters of all hand sized to align their grip in the most comfortable way for them. 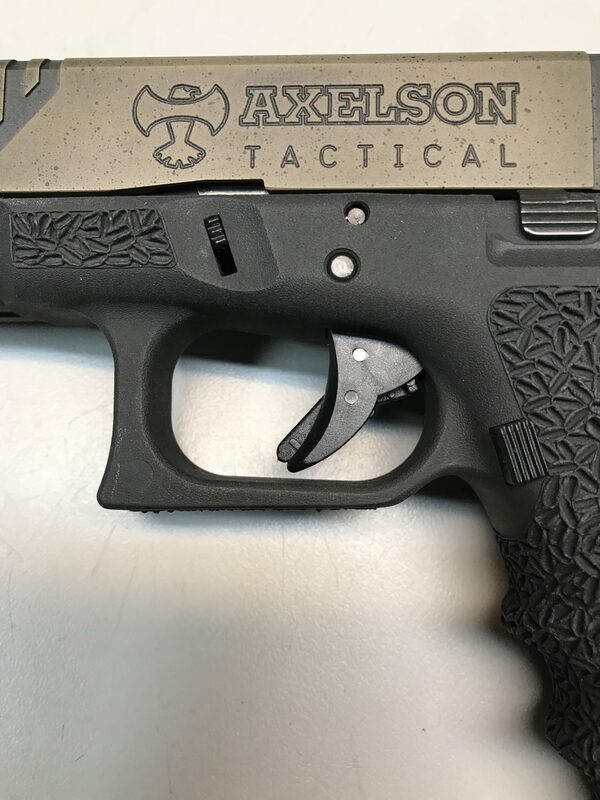 This is a particularly useful feature for shooters with large hands.